Our law firm represents clients in personal injury and wrongful death lawsuits against trucking companies and commercial truck drivers. In many cases it has taken an enormous amount of work to uncover evidence of driver and/or trucking company negligence. Below are only a few of the driver-related factors that can contribute to an accident with a semi truck and a car, motorcycle, bicycle or pedestrian. Our accident lawyers are available for a free consultation. You will not have to pay our firm any money unless we win your case. Speeding, distraction and impairment are the most common driver-related factors that cause, at least in part, accidents involving large commercial trucks, according to the Federal Motor Carrier Safety Administration (FMSCA). Truck driver distractions can include external distractions, such as looking out the window at a passing building, street sign, or person, or internal distractions, such as talking on a cell phone, texting, eating, reading, or adjusting the radio. The Large Truck Crash Causation Study (LTCCS) reported that about 8 percent of large-truck crashes occur when Commercial Motor Vehicle (CMV) drivers are externally distracted and about 2 percent of large truck crashes occur when the driver is internally distracted. Fatigue, alcohol, drugs, and health problems can all impair a truck driver and cause accidents. To prevent accidents cause by truck drivers falling asleep at the wheel or being too tired to driver safely, FMCSA has enacted Hours-of-Service (HOS) regulations, which limit the number of hours a driver can be on the road before he or she needs to take a break to sleep. Fatigue can be a problem even if the HOS regulations are followed. FMCSA estimates that 28 percent of commercial drivers have sleep apnea, a breathing-related sleep disorder that causes brief interruptions of breathing during sleep. These pauses in breathing can last at least 10 seconds or more and can occur up to 400 times a night. Sleep apnea causes severe fatigue. FMCSA regulations prohibit any unauthorized use of controlled substances. Illicit use of drugs by safety-sensitive drivers is prohibited on or off duty. There are also rules that prohibit the use of legally prescribed controlled substances (such as barbiturates, amphetamines, morphine, etc.) by safety-sensitive drivers involved in interstate commerce. FMCSA regulations prohibit interstate commercial truck drivers from using alcohol, or being under the influence of alcohol, within 4 hours before going on duty or operating, or having physical control of, a commercial motor vehicle. The regulations further prohibit these drivers from having “any measured alcohol concentration or detected presence of alcohol” while on duty, operating a commercial motor vehicle or being in physical control of a commercial motor vehicle. Read about your legal rights if your loved one is hit and killed by a drunk semi truck driver. Drivers of 18-wheelers and other large over-the-road trucks have to be certified by a medical professional as capable of doing the job. If severe functional impairment exists, the driver does not qualify to drive a commercial truck. 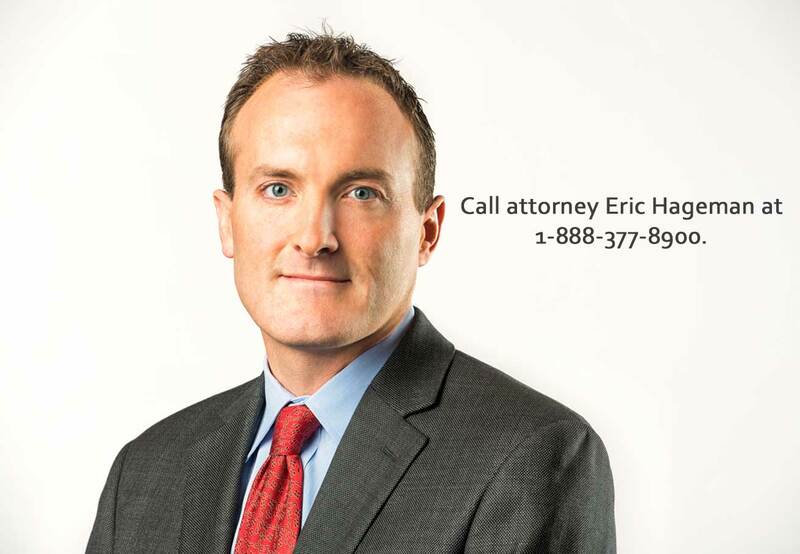 Attorney Eric Hageman represents accident victims and their families throughout the United States. He has been given the highest rating by Martindale-Hubbell for an attorney, AV Preeminent, and was recently named an “Attorney of the Year” by Minnesota Lawyer, a respected legal publication. To contact Eric and Attorney Fred Pritzker call 1-888-377-8900 (toll free) or submit our free consultation form.